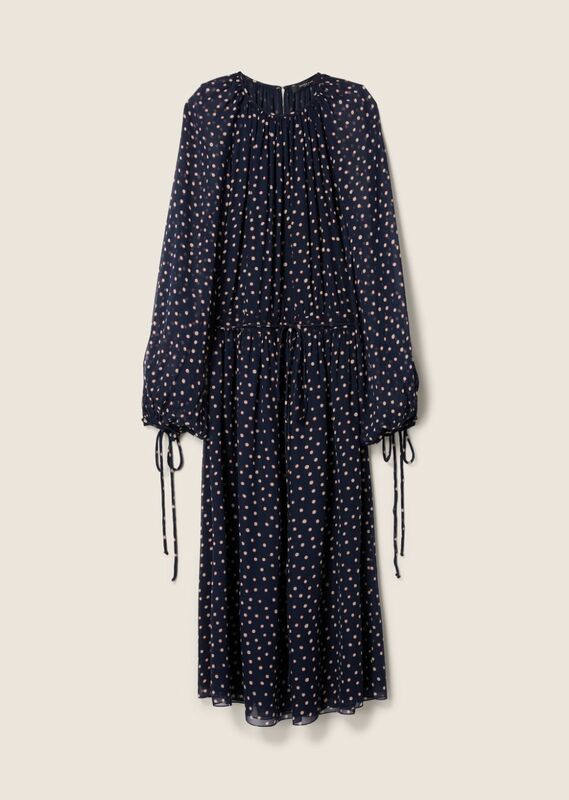 Long-sleeved midi dress in navy racing dot silk georgette with thin tonal self-tie waist belt. Crew neckline. Full puff sleeves. Layered skirt. Silk lining. Made in Italy.